Paint Doonside Read, whose partners include Wentwest’s Thrive@5, Relationships Australia, Crawford Public School, Community Health’s Child and Family Nurses, Blacktown City Libraries and Dr Michael Fasher, launched their Books for Babies project this month. Nursing staff, who have received training from PTTR Ltd, and Blacktown Library about the whys and hows of reading with your baby from birth, will be sharing books and information with all new babies born in Doonside this year – and their families! 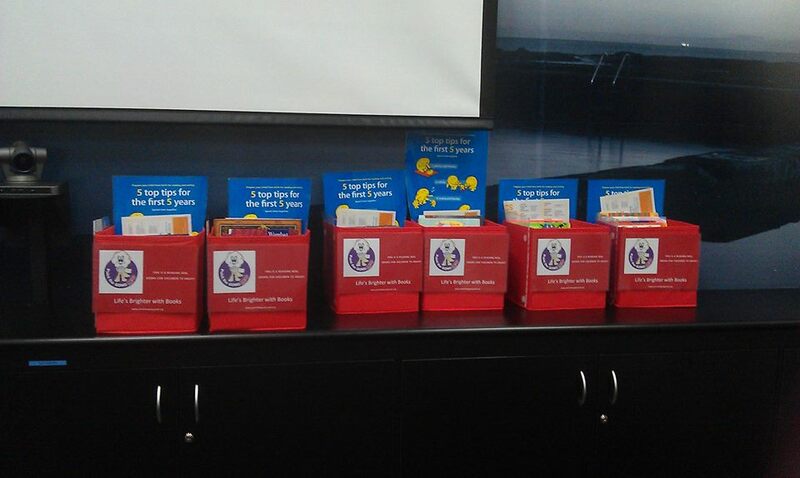 The books were purchased from generous donations by the The Funding Network and the AMP Foundation. Thank you! And for a completely serendipitous moment, See Me Move – the main book to be given to babies, is written by Sascha Hutchinson, a champion in one of our newest communities, Paint the Westside REaD, in Adelaide. 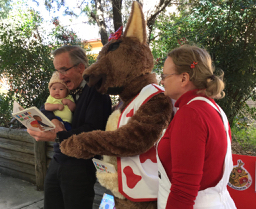 Dr Michael Fasher reading to Doonside’s first baby to receive a copy of See Me Move. He is ably assisted by Rooby Roo and Thrive @5’s Angela McCole. Through the creative genius of La Salle teacher, Danielle Calleja, and Paint the Swan Coordinator, Fiona Lee, students from La Salle College, wrote, designed and created children’s books, which they then read with children at a recent Paint the Swan REaD event. Danielle then presented the outcomes of this project at the Australian Literacy Educators Conference in Adelaide recently. 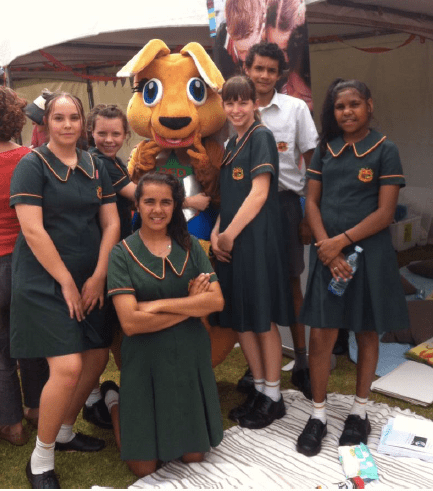 La Salle College is a co-educational Catholic secondary school situated in the Swan Valley, Perth. The College caters for 1400 students in Years 7 – 12. This is a terrific example of how High School students can support the early literacy development of young children in their community. Check out these great pics from The Pocket Public School. It looks like they had a great Mad Hatters High Tea in celebration of Book Week! How did you celebrate at your school? Let us know by getting in touch here. Thank you for sharing Puddles! There are 9 more Paint the Ridge REaD family gatherings this year. It’s a great way to meet other parents with young children and a great way to spend a Saturday morning! Paint the Gong REaD have delivered the first of their book boxes to the new Homeless Hub in Kenny St and then off to the Harbour St doctors surgery and to the Child and Adolescent Mental Health Service. Know of a place where families have to wait with young children? Let us know and we’ll make sure they can read a book while they wait. 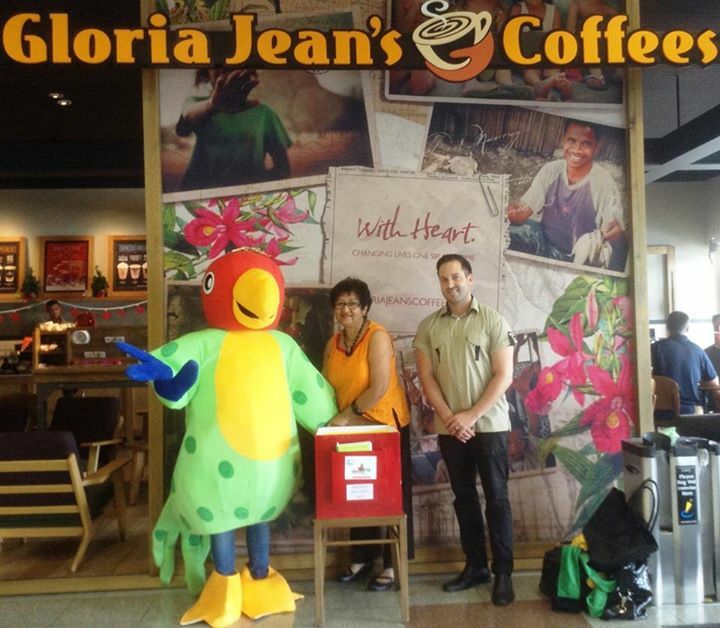 Congratulations to the team at Paint the Hills REaD for their book swap box at a local Gloria Jeans, where they regularly read with children. Plus winning the Grill’d healthy burgers charity donation! 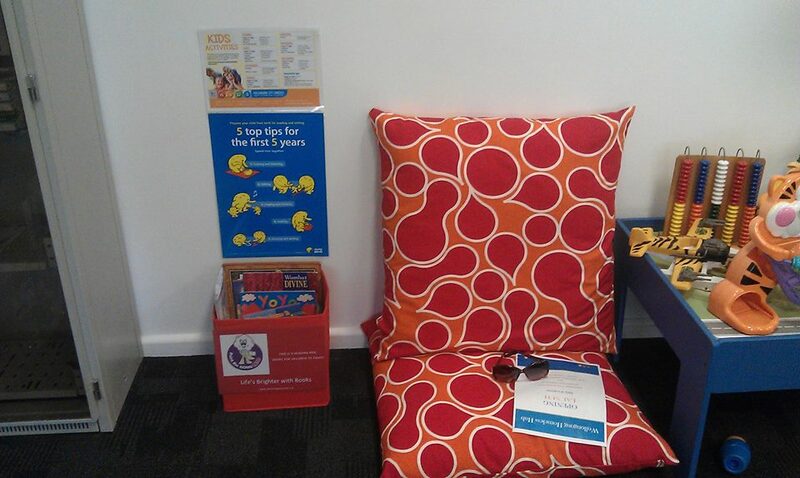 Paint Hawkesbury REaD and Bendigo Bank book boxes! 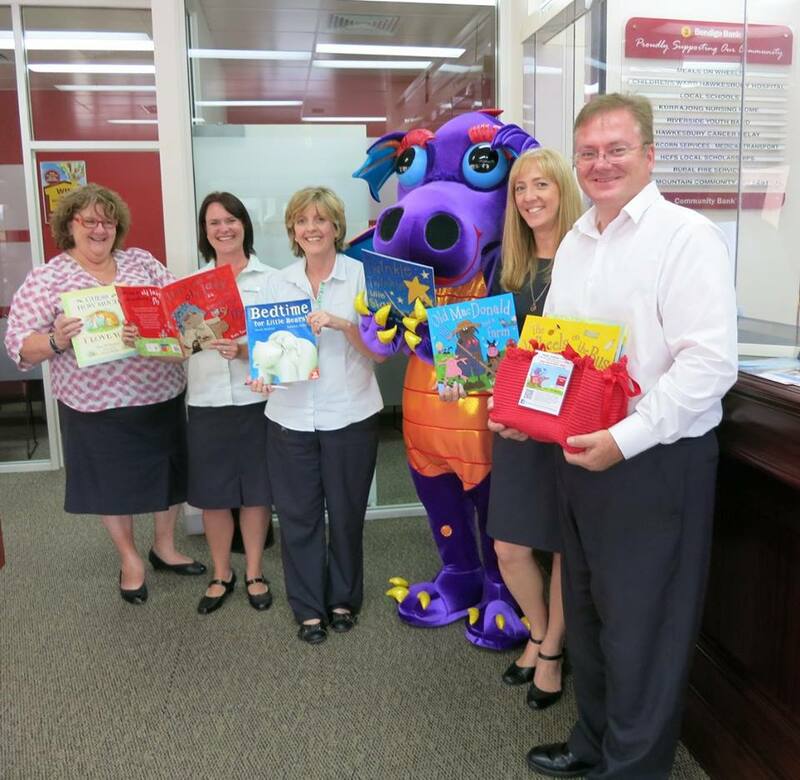 Puddles and the team at Paint Hawkesbury REaD delivered the first of 50 book baskets this month. 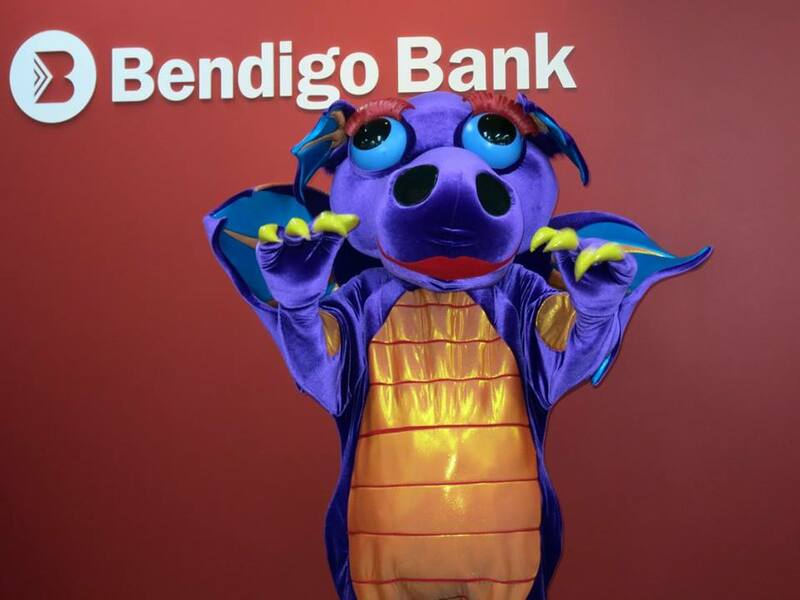 Sponsored by the North Richmond branch of Bendigo Bank the remaining baskets will be distributed to coffee shops, doctors’ surgeries and other places during the year ensuring the local kids lots of opportunities to enjoy a good book! 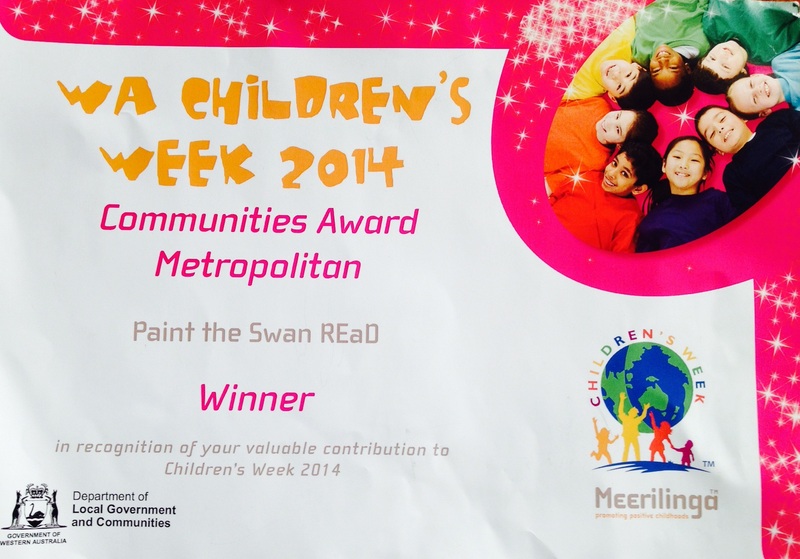 Congratulations to the Paint the Swan REaD team for being awarded the WA Metropolitan Communities Award in recognition of their amazing work. Two of our Paint the Town REaD teams, in Auburn and Penrith, took out two of the 2012 ZEST awards. These are service awards for the greater Western Sydney community sector. The Auburn group, led by Himali Wettasinghe, won the Outstanding Project in a CALD Group/Organisation award. The Penrith group, led by Julie Jasprizza-Laus, won the Exceptional Partnership Project award. We were particularly pleased that that these were the only awards recognising community work benefitting young children. 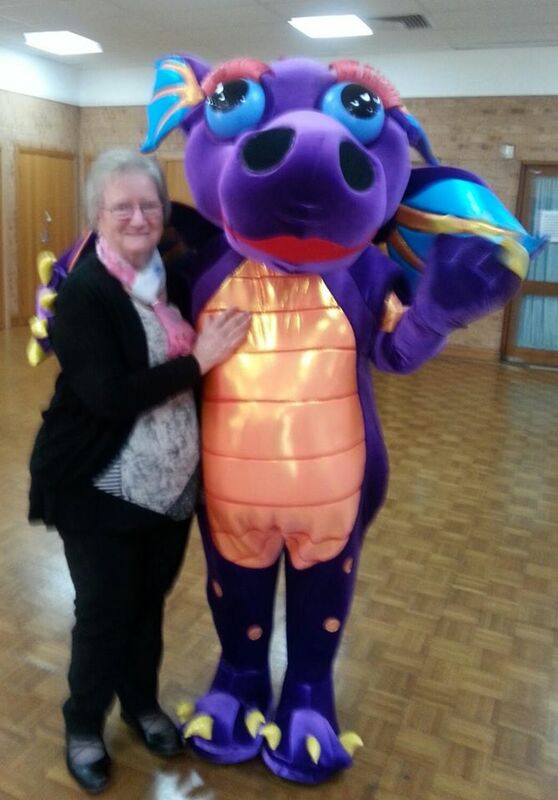 To see pictures of the event, and more information, go to the ZEST website.